The Windows 10 Creators Update is the latest major update to the Windows 10 operating system. The Creators Update has rolled out features to Windows Insiders (guys like us who test the beta version of the OS) for the last three months. Some of these features are big; others are much smaller behind the scenes tweaks. This update will propel Windows 10 into the future, offering 3D and 4K support to the operating system and across the Windows family platform. Let’s look at some of the big features coming to the Windows 10 Creators Update later most likely in April 2017. What’s in the Windows 10 Creator Update? 3D support is coming to Windows with the addition of a fully loaded 3D back-end. 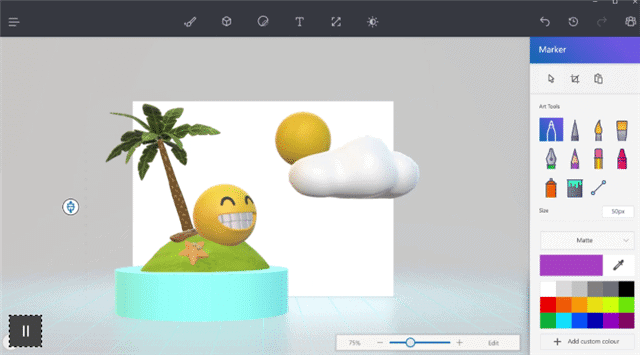 Paint 3D will allow users to bring 2D images to life in 3D. It’ll allow users to capture 3D moments, too, giving them a new way to create images, videos, and more. With Paint 3D, you’ll be able to turn 2D images into 3D images and then share them with family, friends, or the Microsoft community. Microsoft has pushed its HoloLens technology since the release of Windows 10 but on a business-to-business level. With 3D support, 4K gaming, and the cross-platform nature of the Windows platform, it makes sense that mixed reality comes to everyone. That’s why Microsoft is introducing a handful of VR headsets at the $299 price point from partners Acer, ASUS, and Dell. 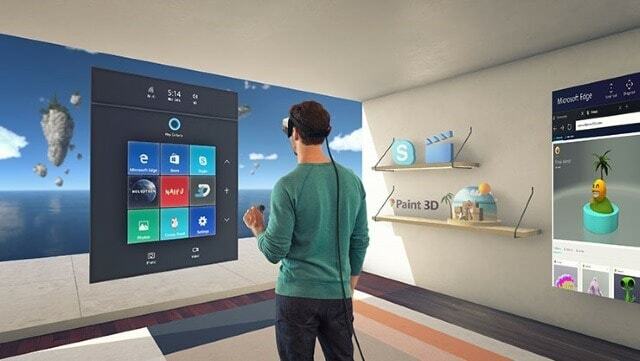 When you buy a VR headset, all you need is a Windows 10 PC, and you can take full advantage of its mixed reality platform. 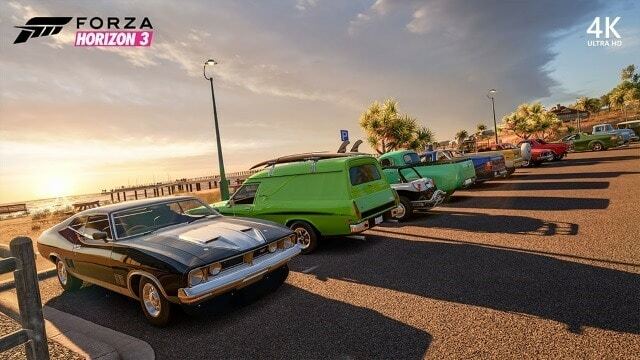 Xbox Live and its cross-platform functionality with Windows 10 PCs will give users a true 4K gaming experience, including people-generated arena tournaments and built-in beam broadcasting. With more games being designed to be played on both the Xbox One and upcoming Scorpio gaming console, it’s only a matter of time before 4K gaming support becomes the standard no matter what type of games you play. Windows 10 users will be happy to know they’re finally getting more control over how Windows 10 distributes updates. You’ll see better notifications about when an update occurs and that you need to restart, along with the options to delay the restart or schedule it for a better time. Edge still isn’t competitive with Chrome, Firefox, Opera, and other browsers on the market. Edge is getting some major backend updates in the Windows 10 Creators Updates, including the ability to block Flash-based content and tab previewing. Unfortunately for users, Microsoft still isn’t offering the library of Edge extensions it had promised before the OS was released to the public. Adding a new device, such as Bluetooth headphones or a new monitor, isn’t as intuitive as it should be in Windows 10. The Creators Update looks to change that. Adding a new unified device should be much easier with new Windows prompts to get them set up properly. No significant updates to the user interface are happening in the Creators Update but smaller ones that are meant to improve experiences for users. Additions such as tile folders to the Start Menu will be available, along with the installed apps getting their own category in settings and a new way to troubleshoot issues in Windows 10. Windows Defender is getting some much-needed improvements, including a dashboard to monitor system health, new ways to check for security issues, and more settings to tweak the experience. Slowly but surely, Microsoft is transforming Windows Defender into a true security platform. Also Read: How to Configure Windows 10 for Complete Security and Privacy? There are many behind the scenes changes coming in the Windows 10 Creators Update, including display improvements, night-light functionality, e-book reading capabilities, upgrades to Hyper-V virtualization, and more improvements to Cortana. Overall, the Windows 10 Creators Update looks to build on the functionality of Windows 10 and help users get even more from the Windows platform no matter what device you’re using.